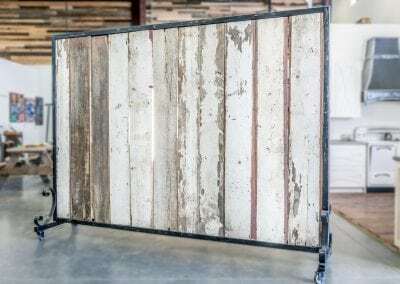 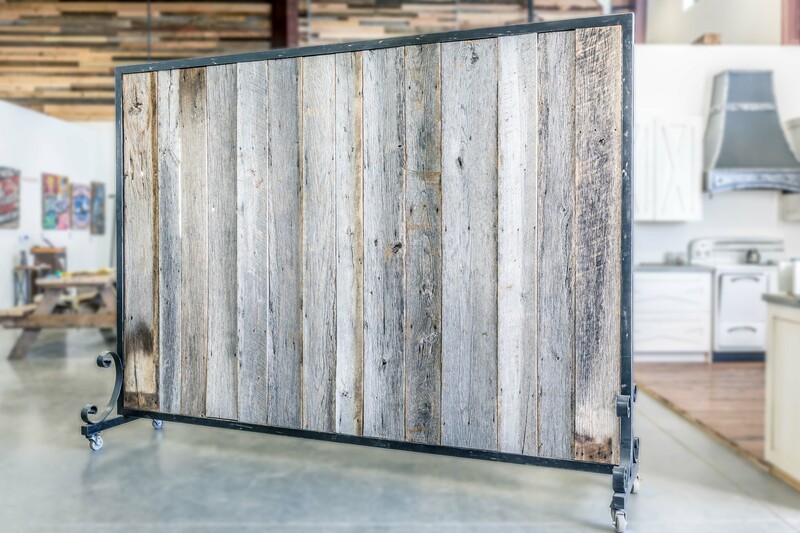 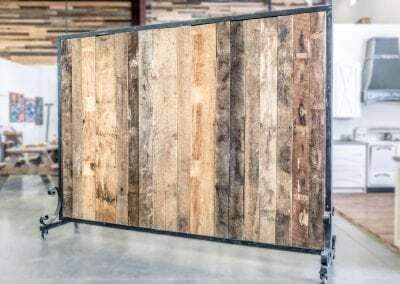 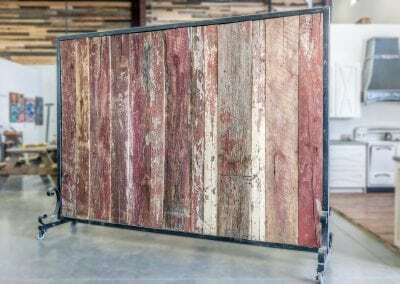 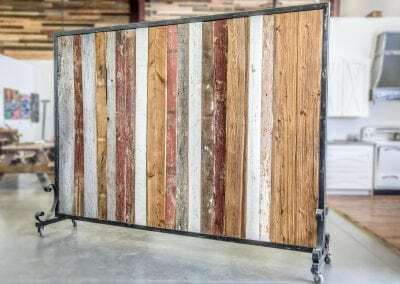 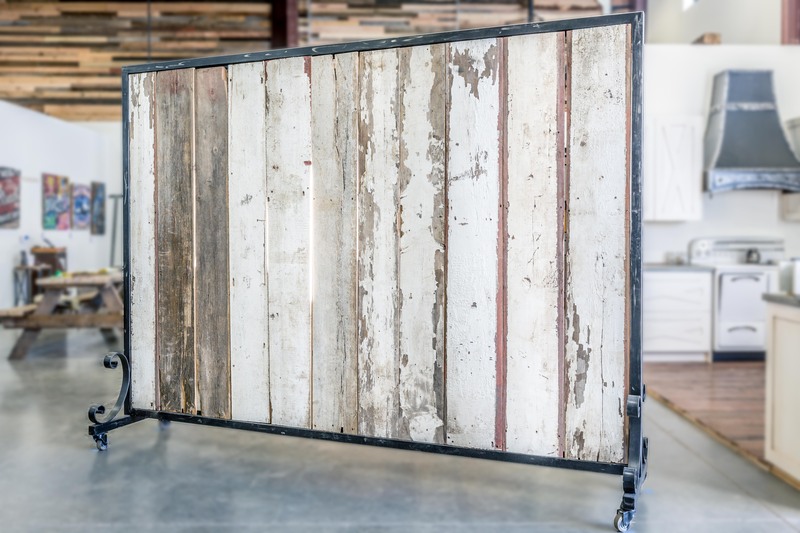 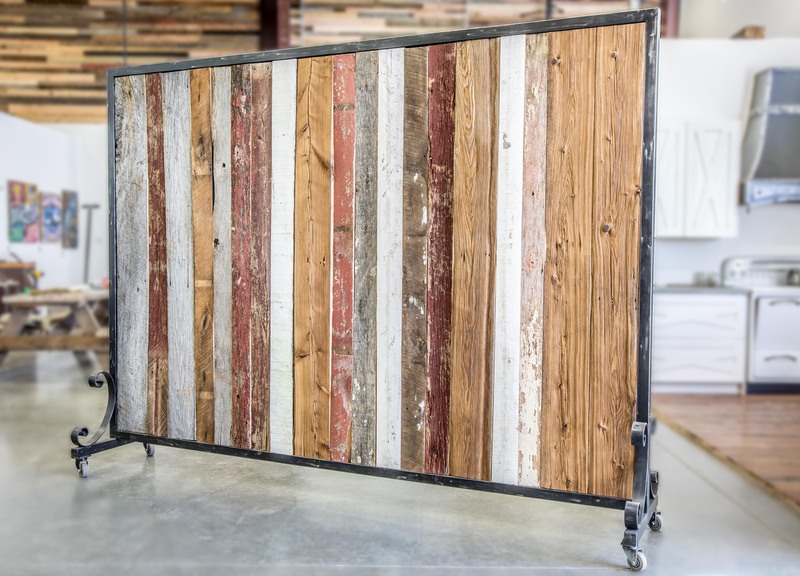 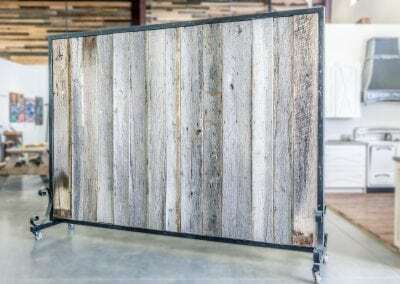 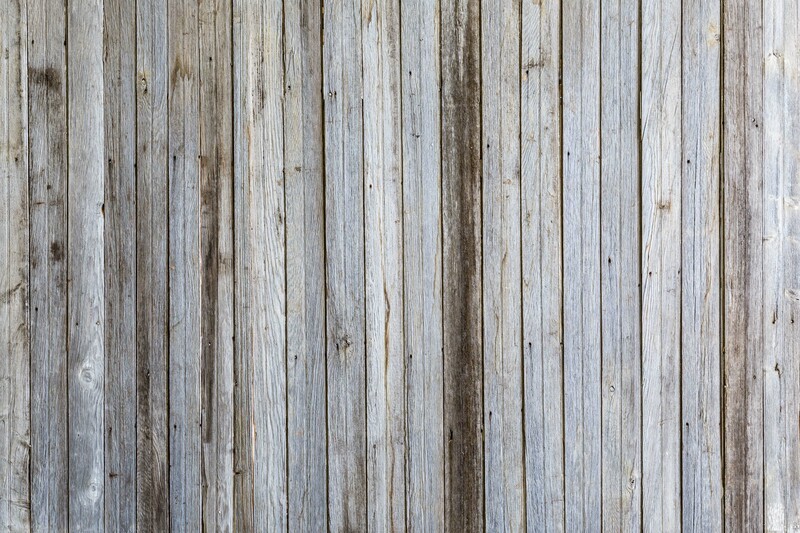 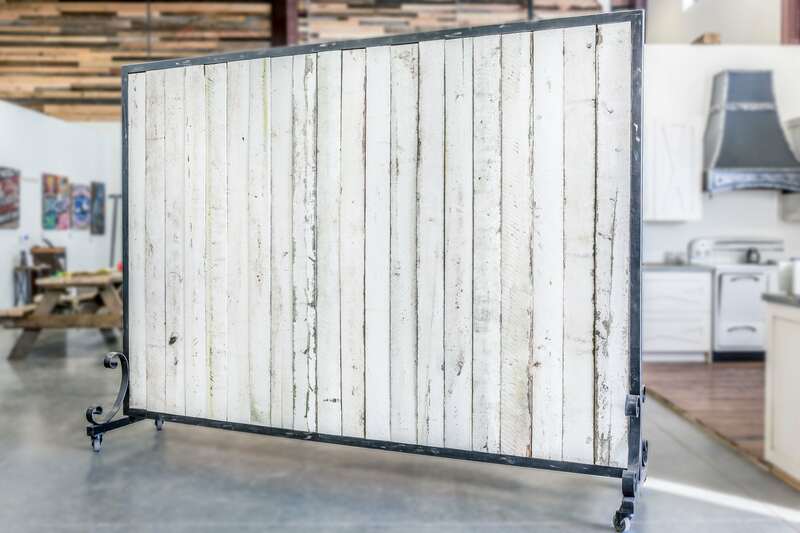 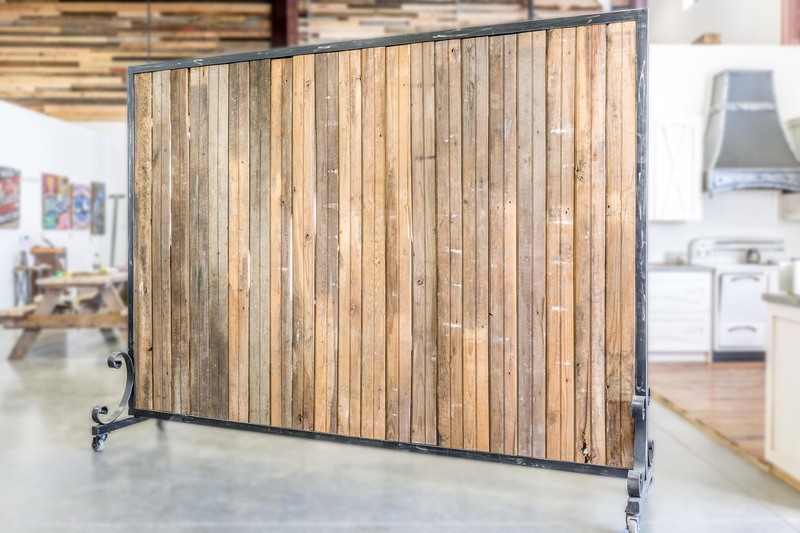 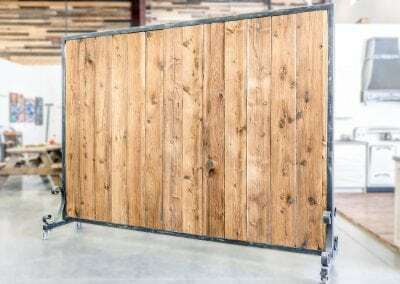 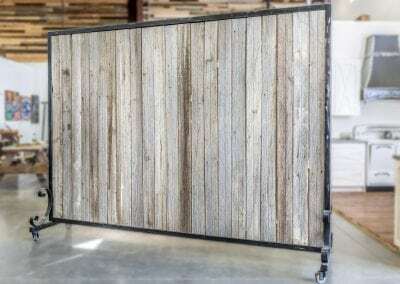 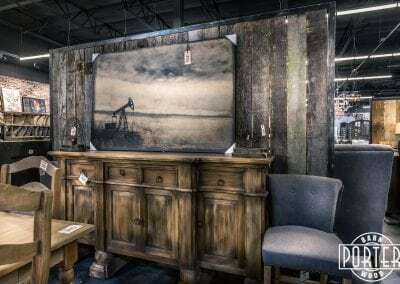 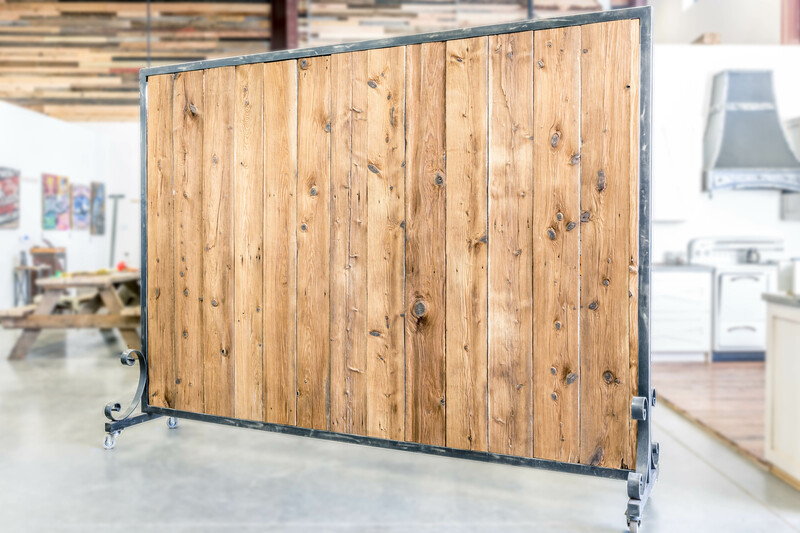 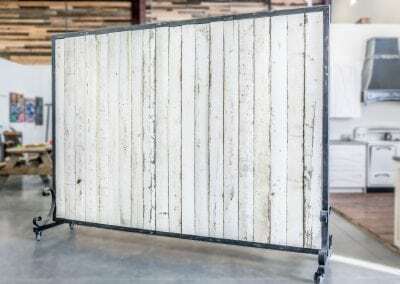 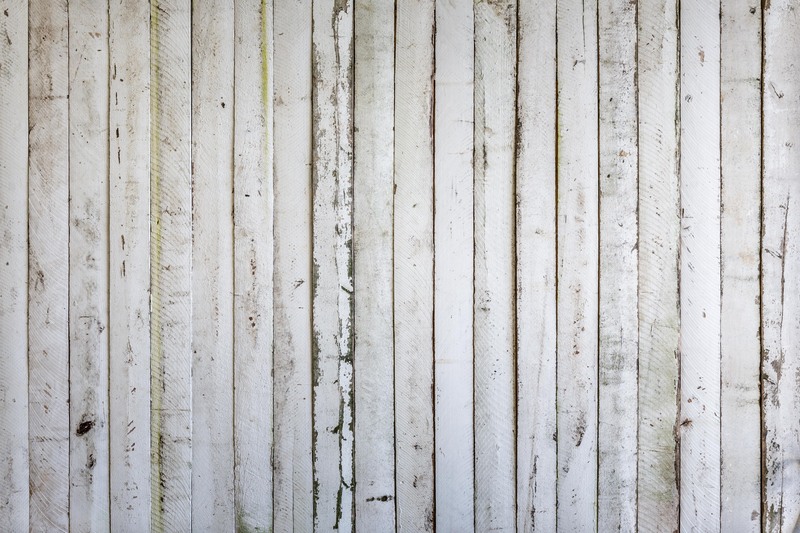 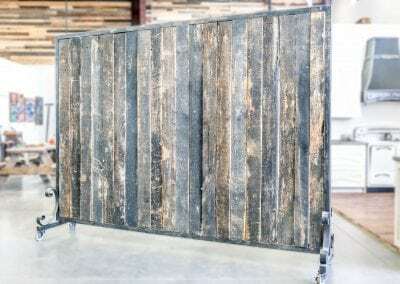 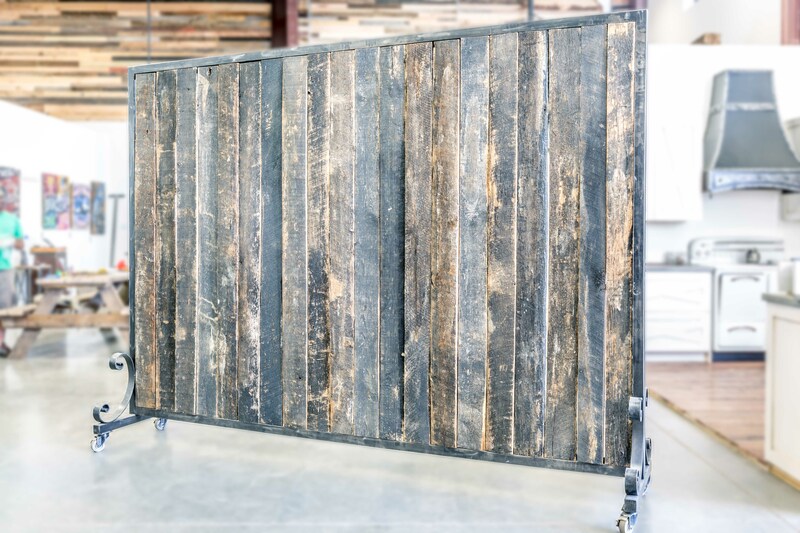 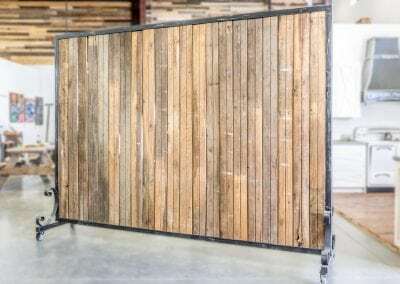 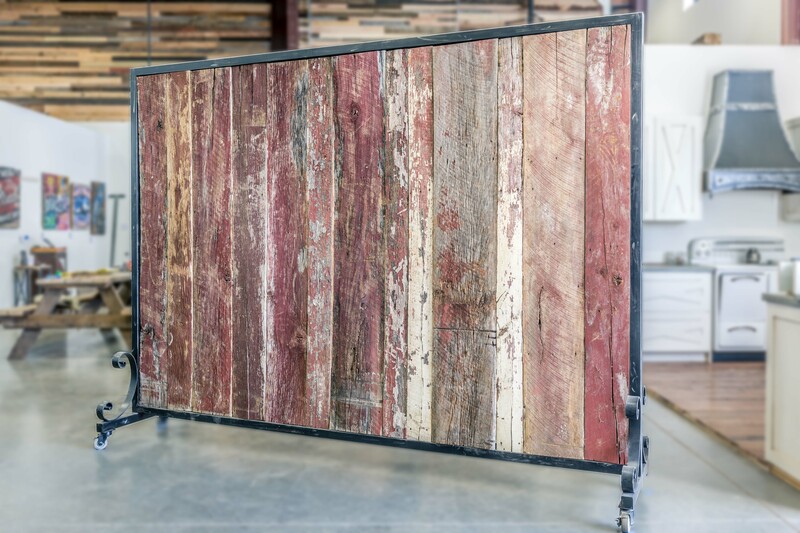 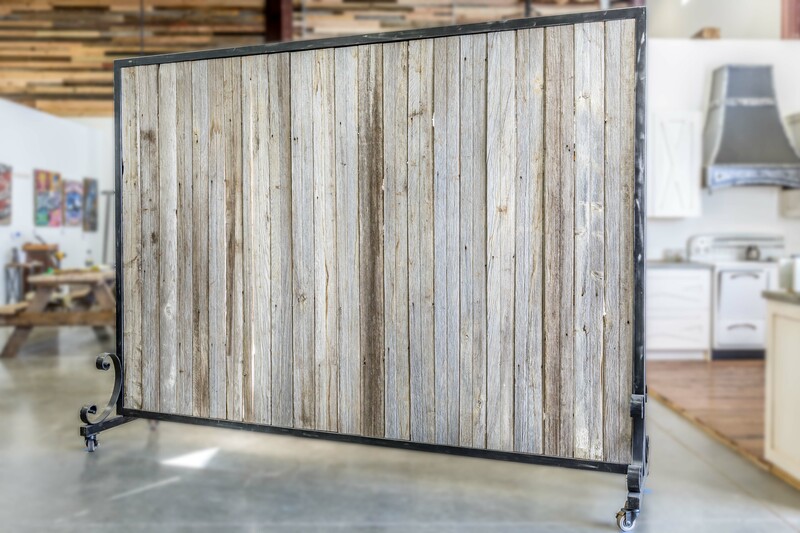 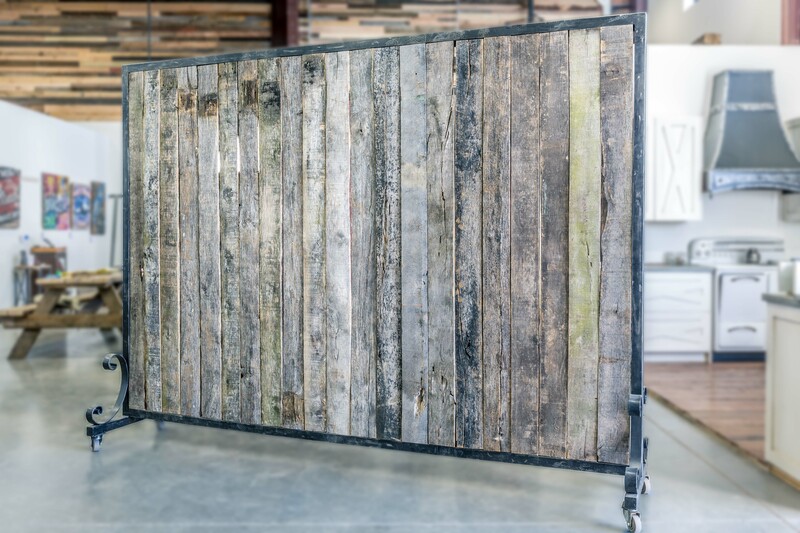 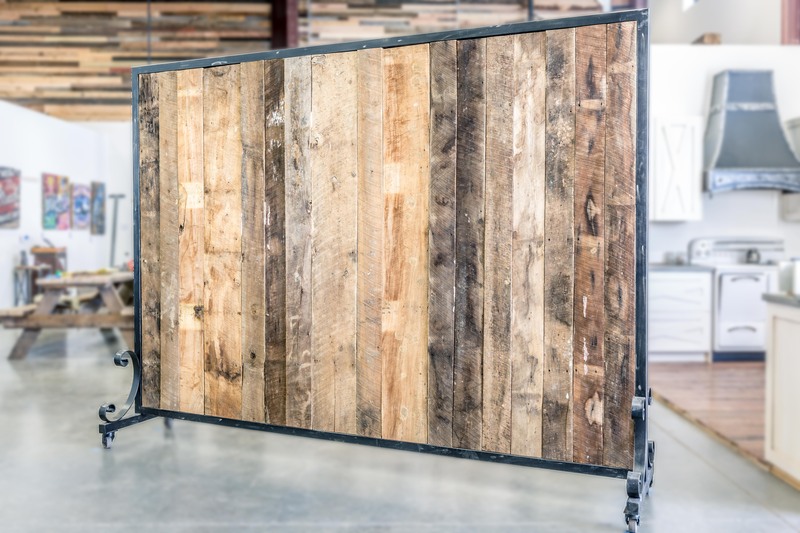 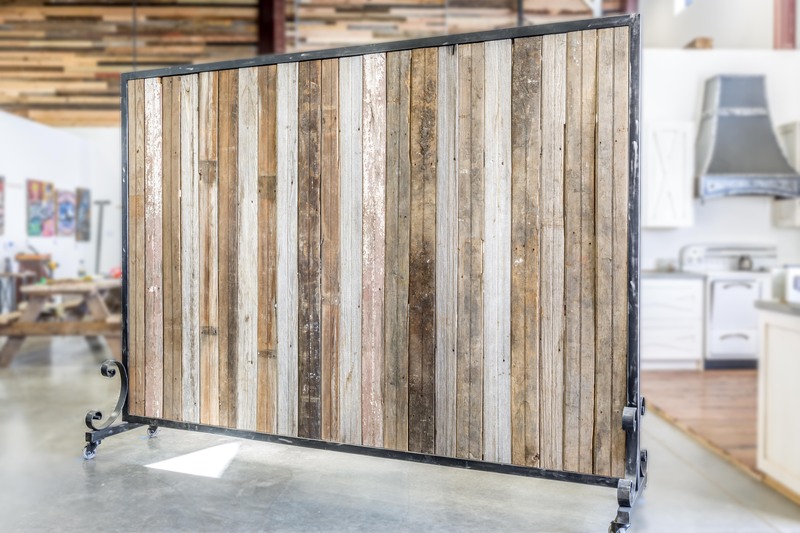 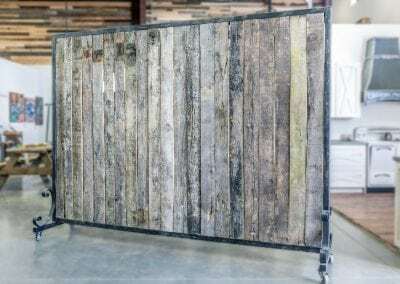 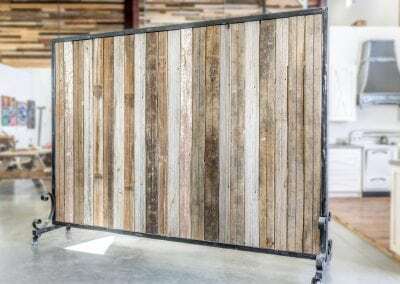 These 7’6″x10′ partitions serve as a display and room divider for Potato Barn’s showroom. 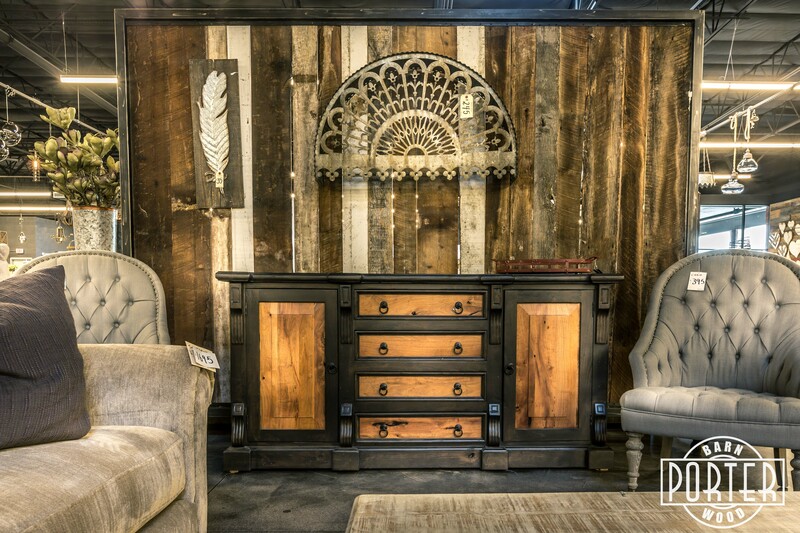 We fabricated a steel tube frame on casters with some blacksmith embellishments. 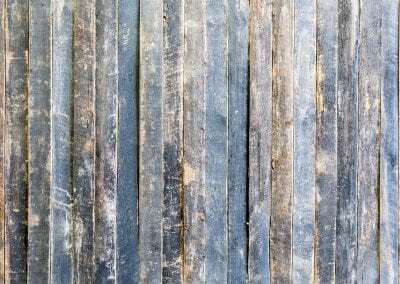 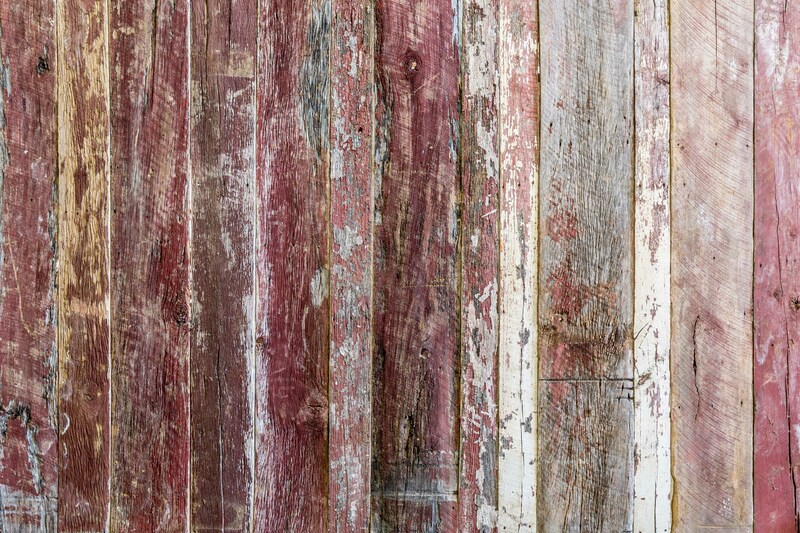 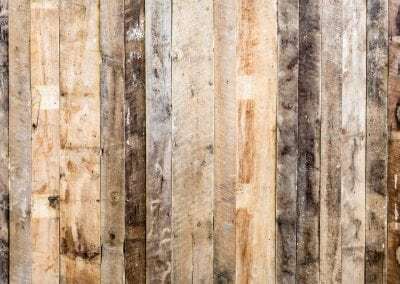 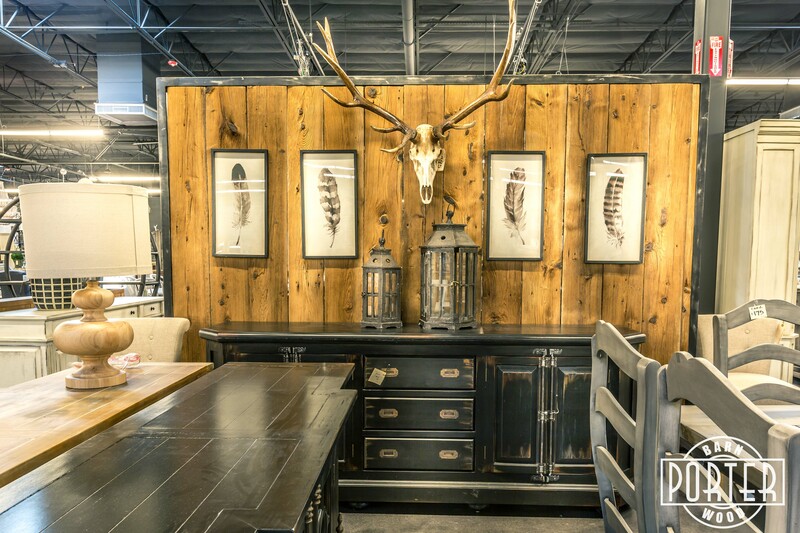 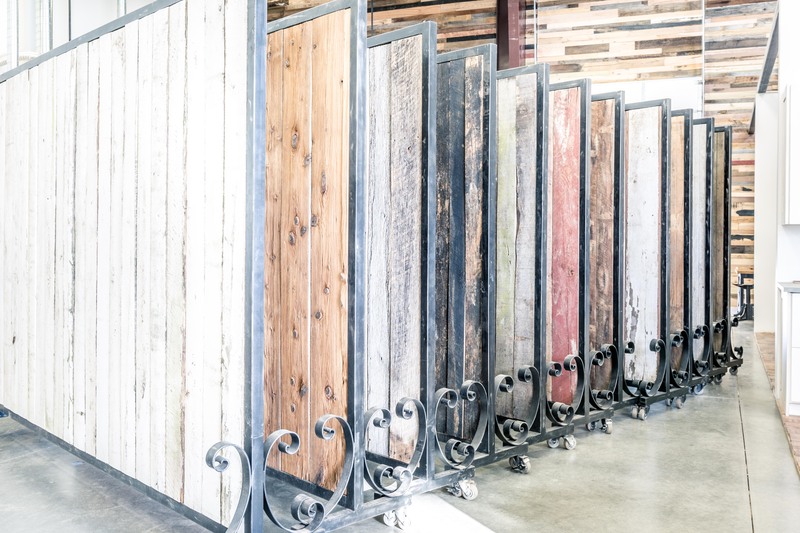 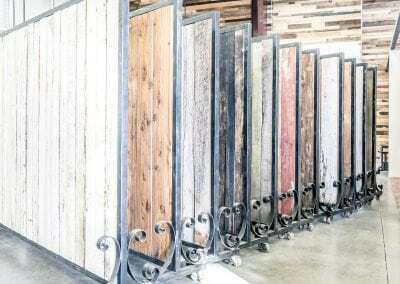 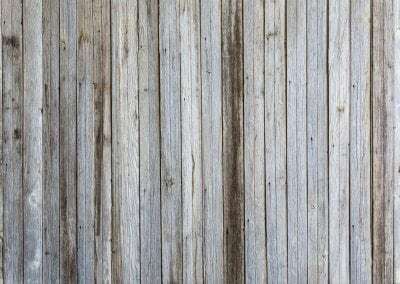 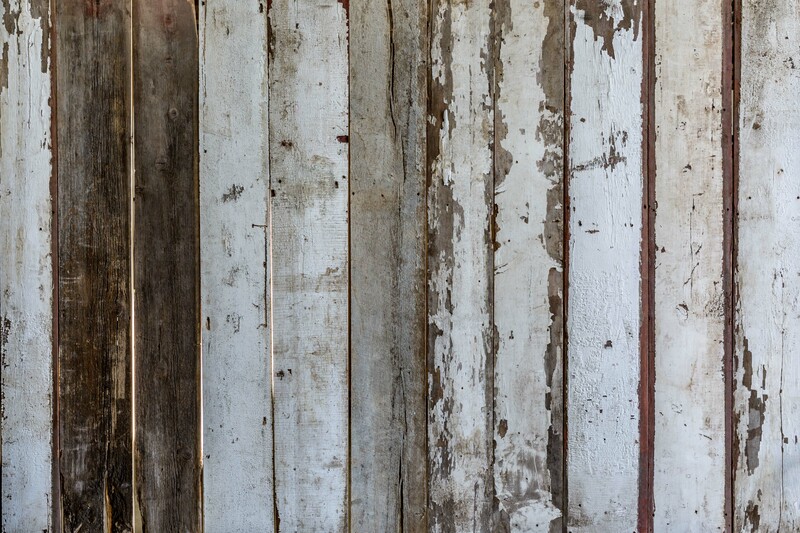 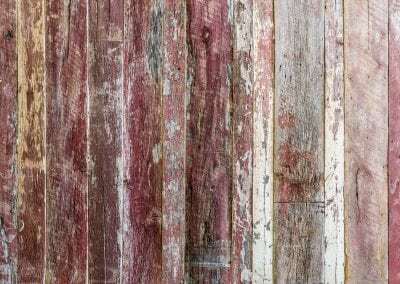 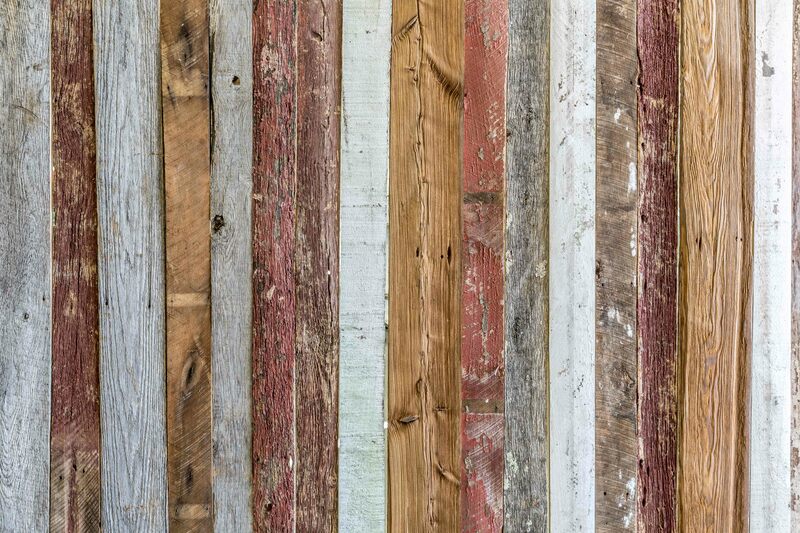 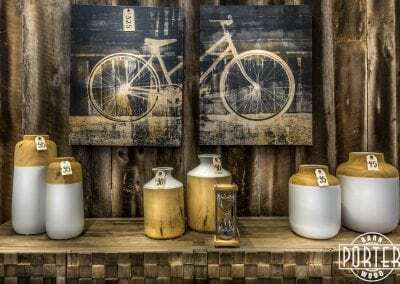 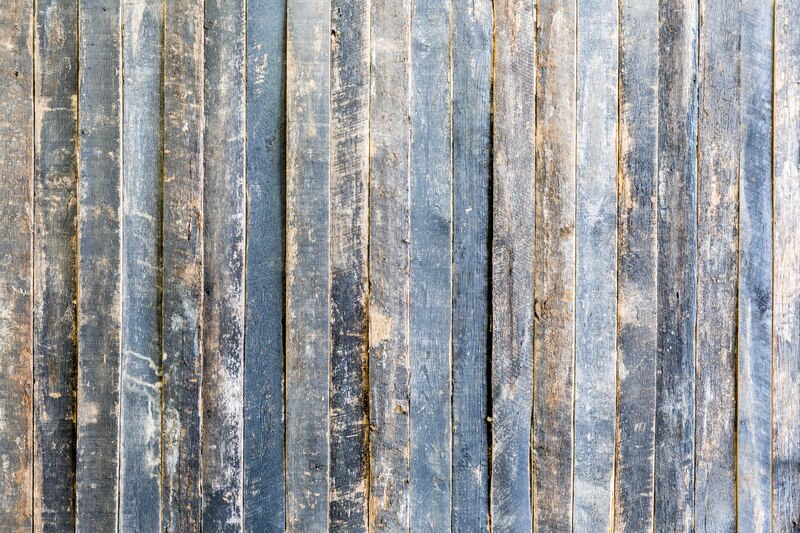 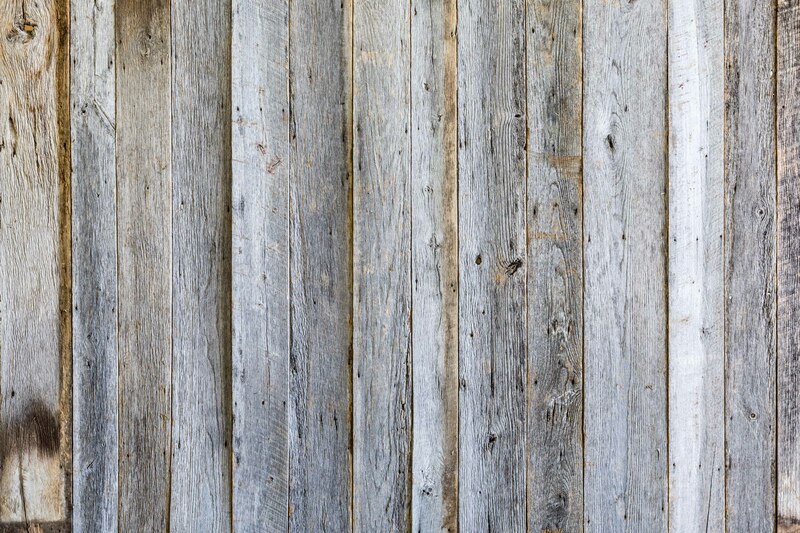 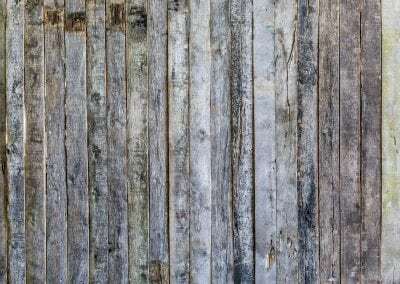 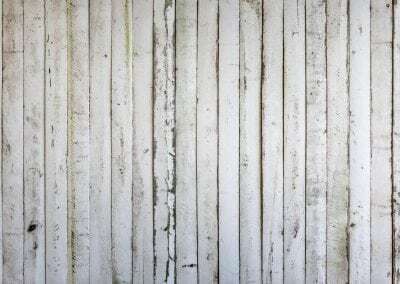 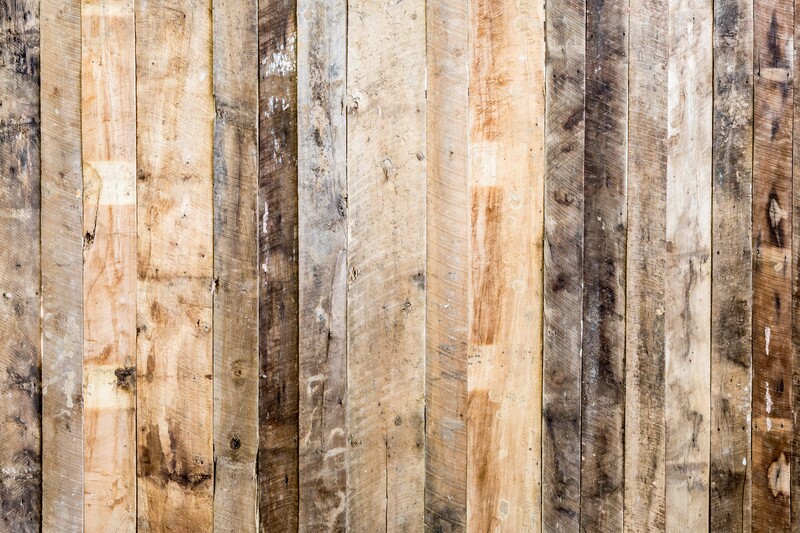 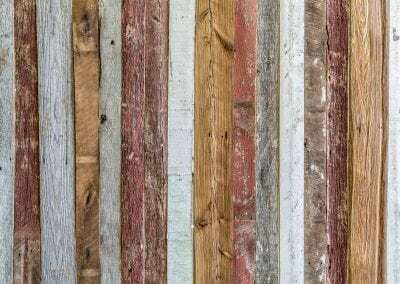 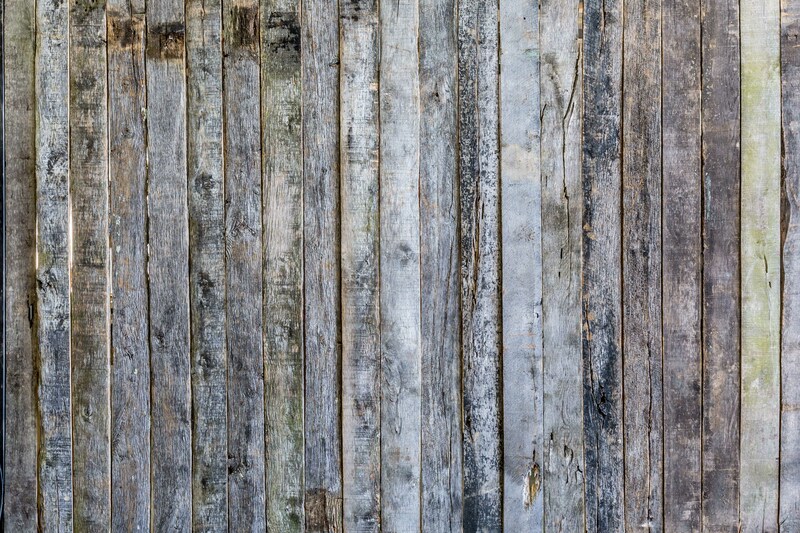 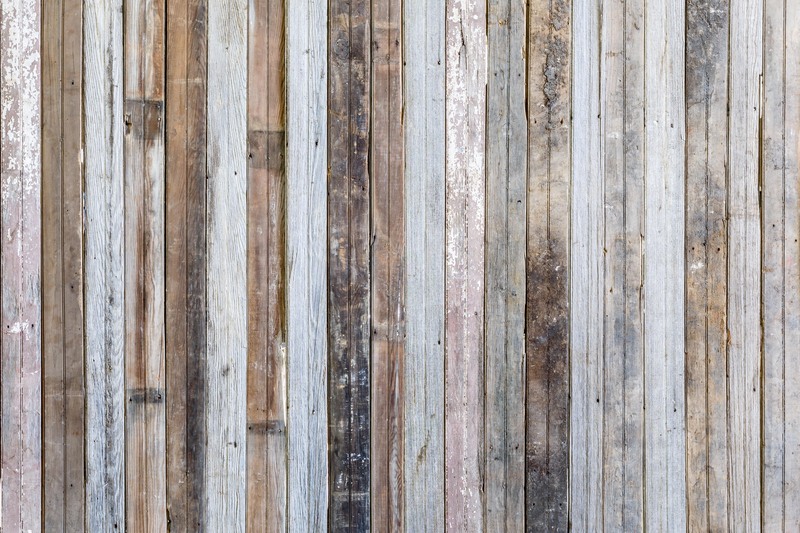 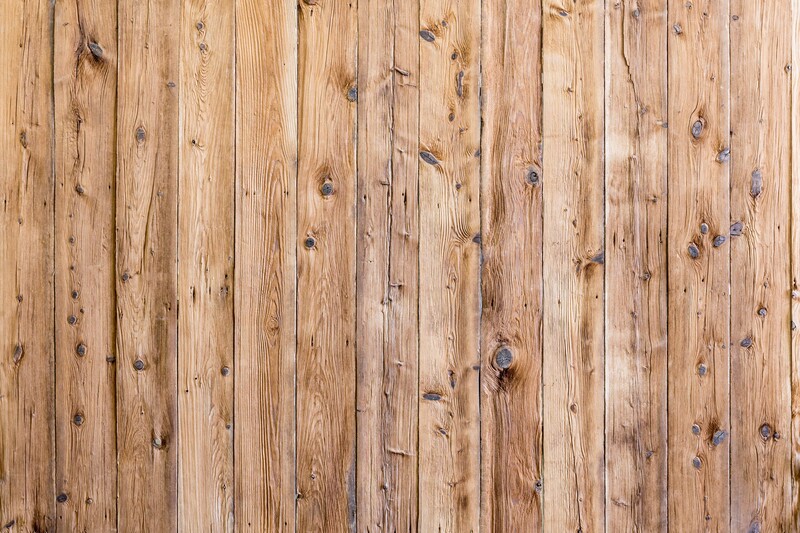 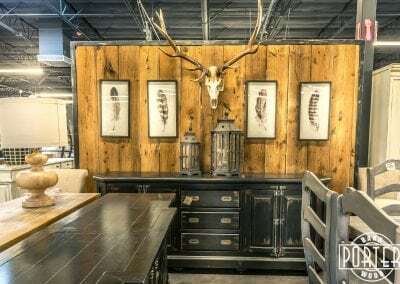 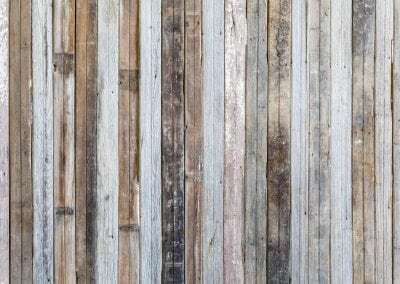 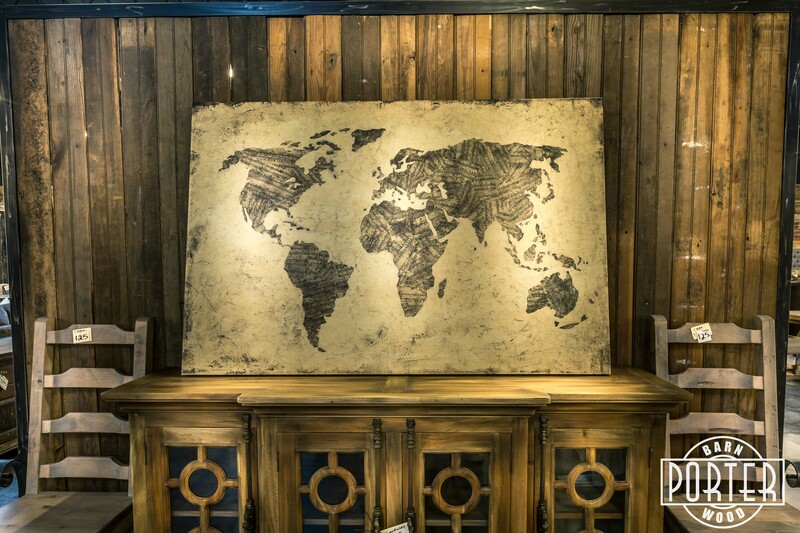 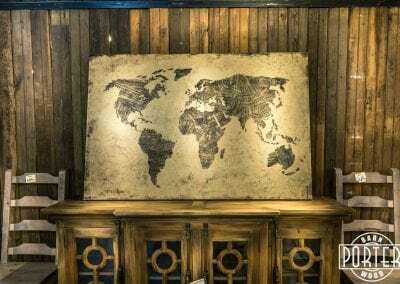 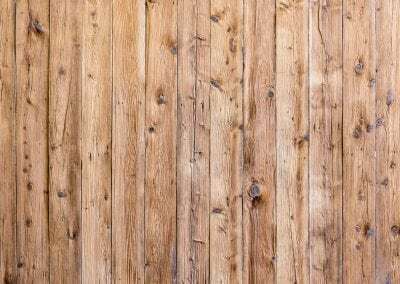 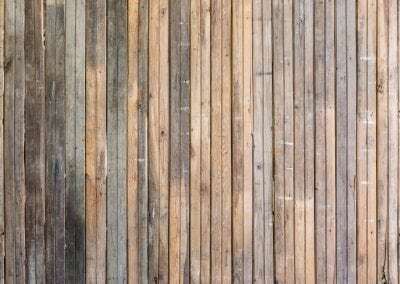 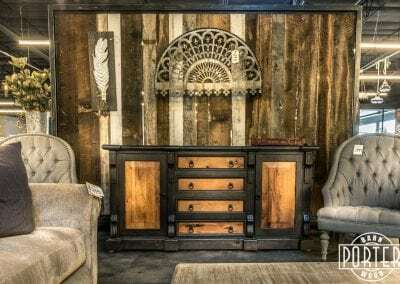 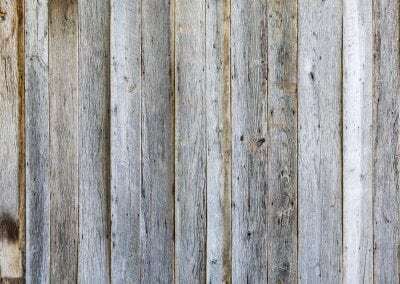 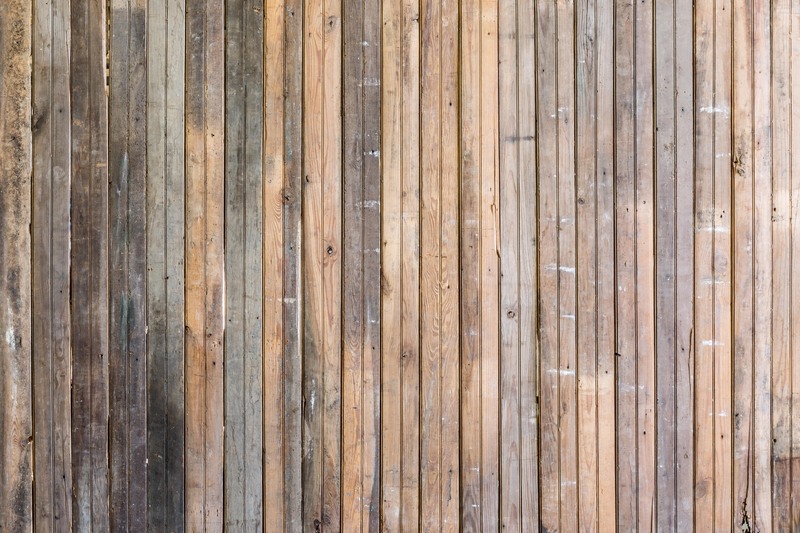 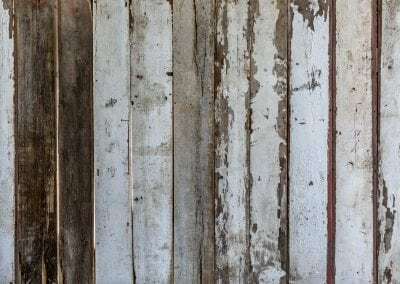 We utilized different types of reclaimed wood to create different looks for each of their spaces. 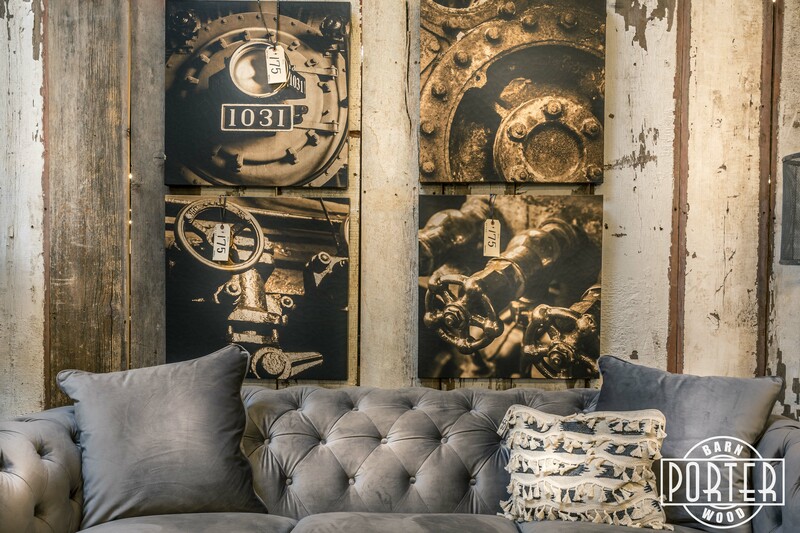 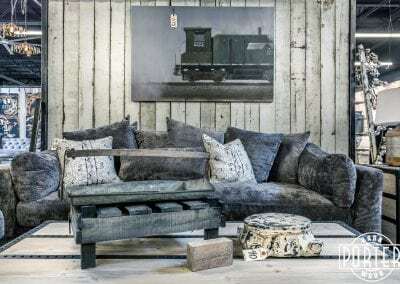 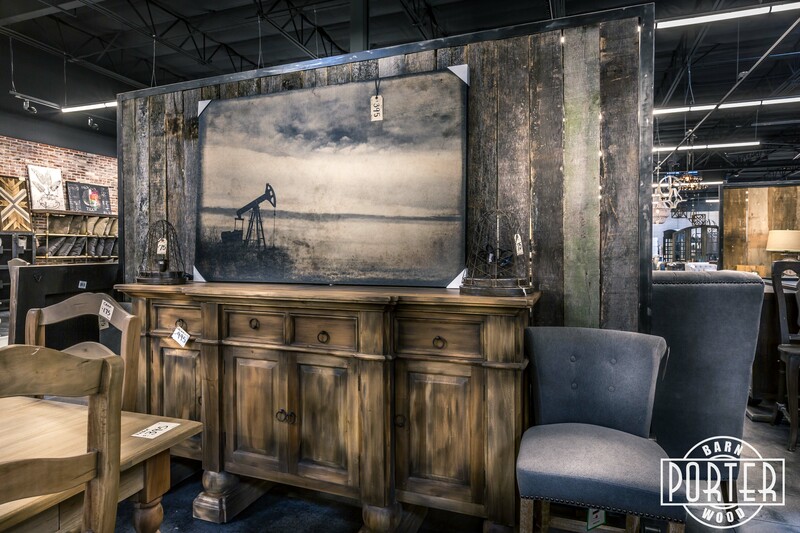 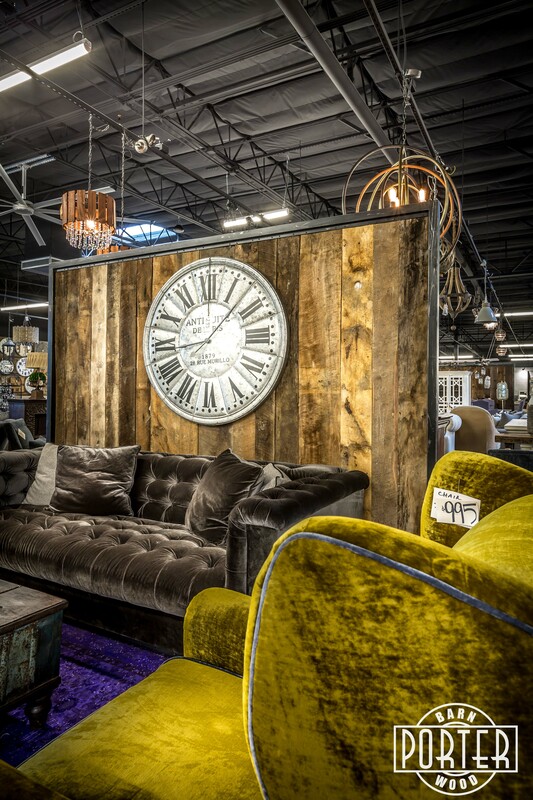 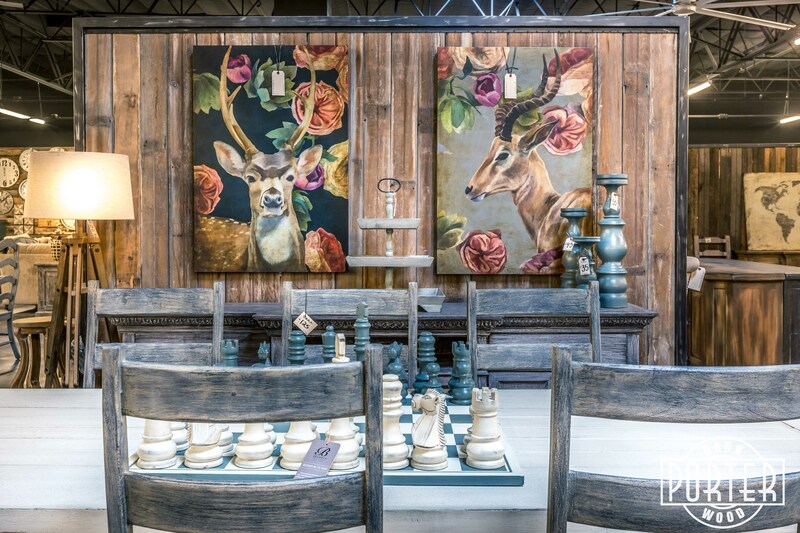 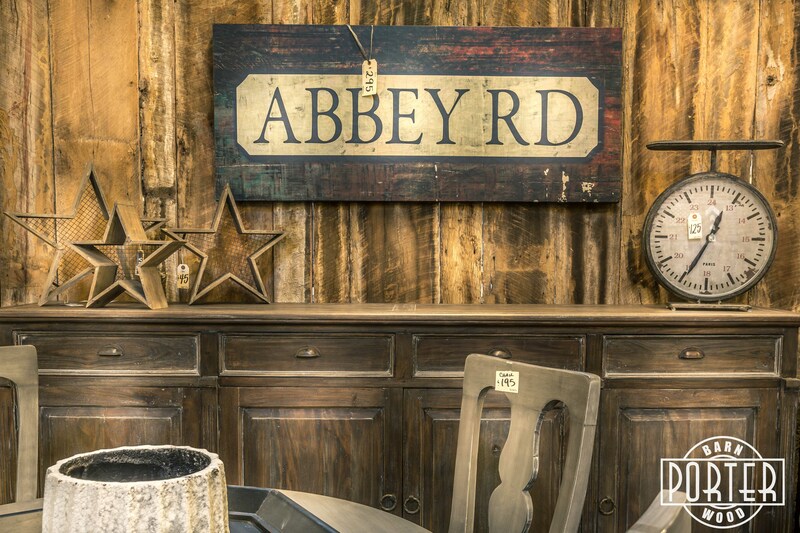 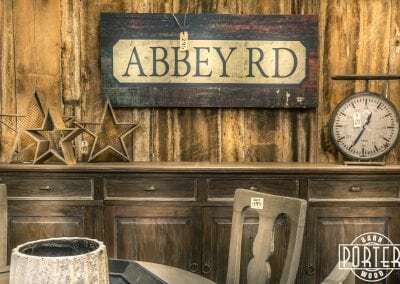 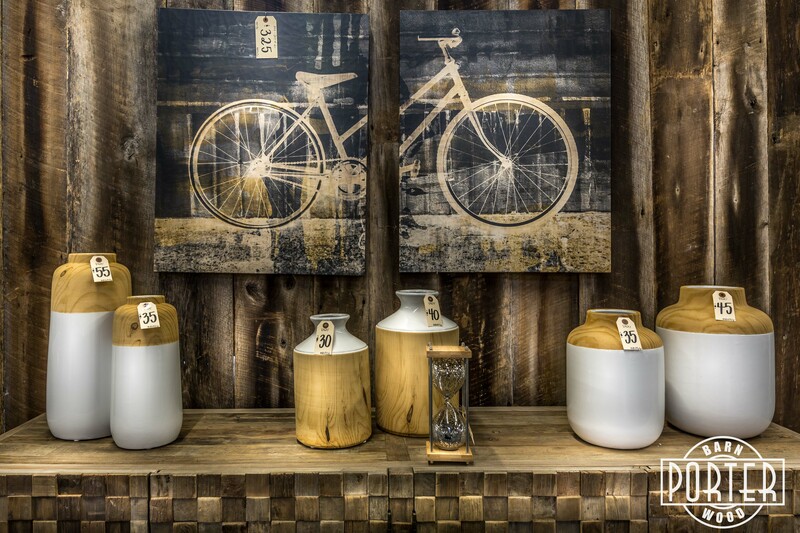 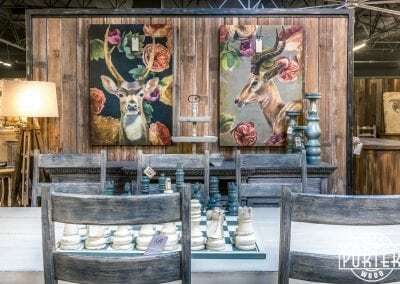 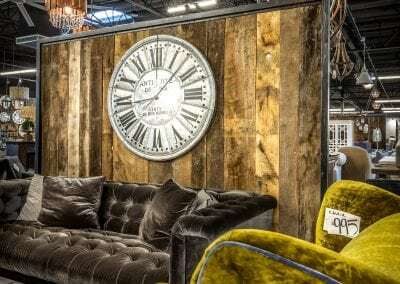 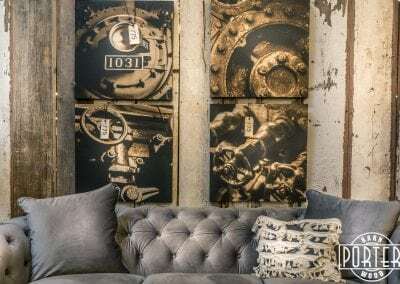 If you’d like to see them in person, please visit Potato Barn’s Scottsdale showroom at: 8980 E. Bahia Dr.